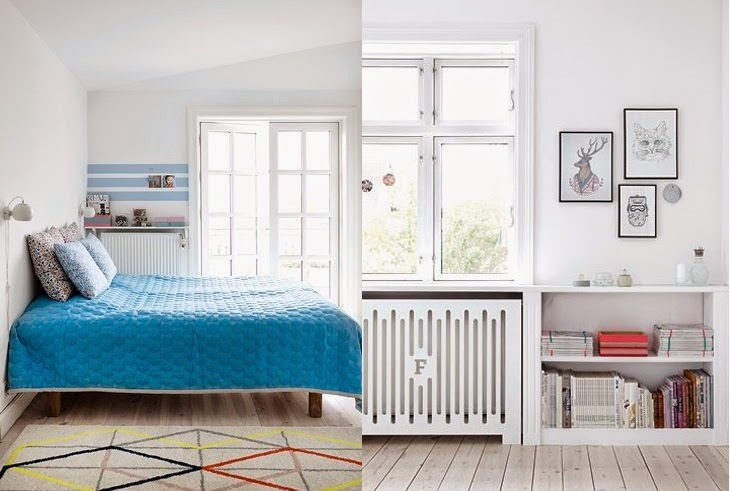 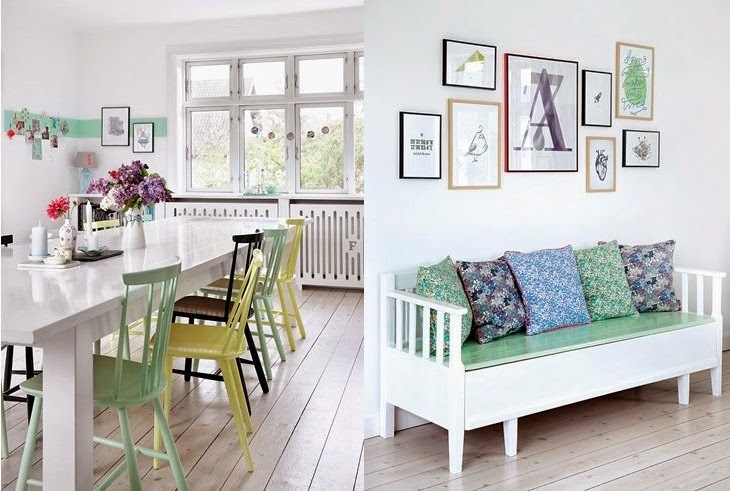 Lets be happy today, with this colorful danish apartment. 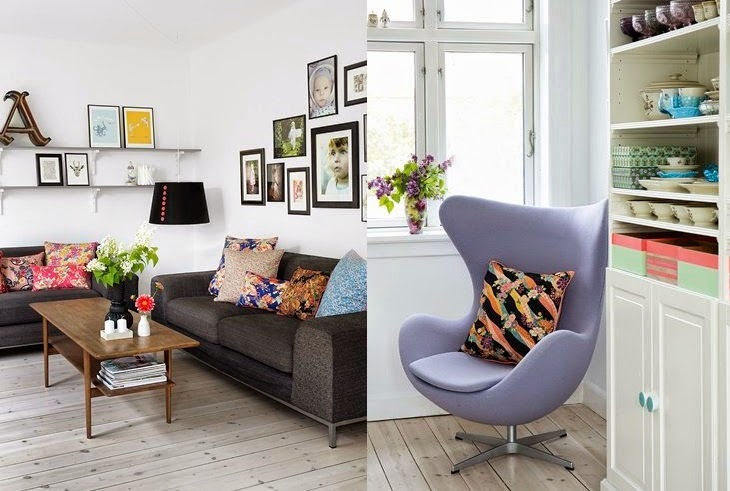 It is the classical white and wood scheme we all know from Scandinavian interiors, but it is accompanied here by a various selection of nice colors and wall art, making it very happy and cheerful place. 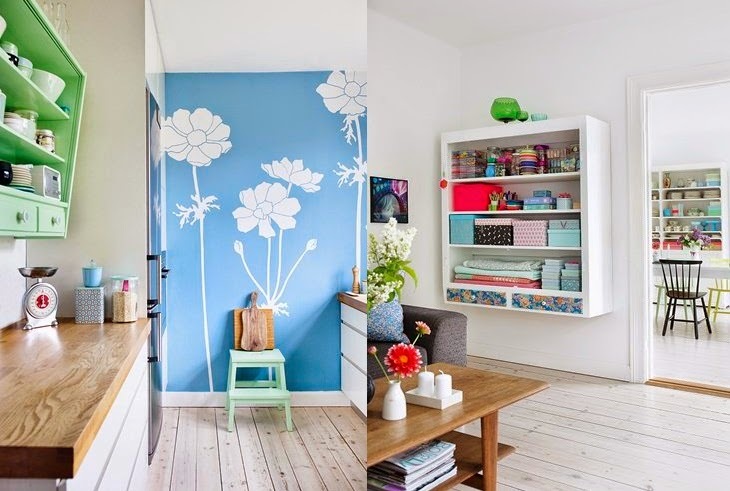 It may be too much colors maybe, but definitely it have a personal touch of the owner and a cozy atmosphere.